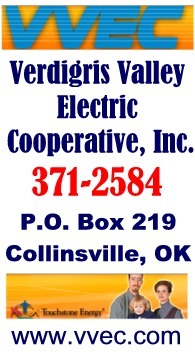 The marketing manager for the Collinsville News (and Neighbor News) spoke to the Collinsville Chamber of Commerce Thursday. His message covered hundreds of years of newspapers being the dominant source of news and advertising in the world. Newspapers had already survived challenges from radio, TV, and cable, but the internet challenge has forced newspapers to be much more adaptive in their response. Words and photos printed on paper (while facing many media alternatives) still remain popular. 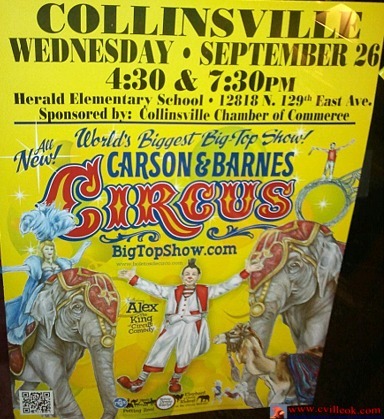 The Collinsville Chamber is sponsoring the September 26th Carson & Barnes Circus here. Tickets are available at the Chamber Office and local banks.